Summer is here and for those of you looking to indulge in a little summer fun this season, Camps Bay makes for the ideal holiday spot. Here you will find your dream playground to explore the great weather, sip on ice cold cocktails and relax in one of the most beautiful destinations in the world. Here you will also find a great selection of restaurants and pavement cafes as well as the latest in trendy hotspots and local pubs to suit your every taste and craving. If you’re anything like us then you have a taste for the exclusive and a passion for style, so look no further than Fusion – an architectural masterpiece. 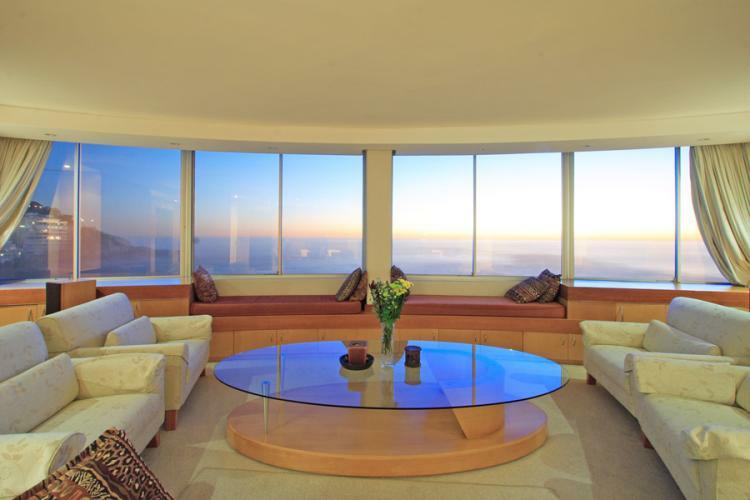 It offers 360 degree uninterrupted views of Lion’s Head, Robben Island and the Twelve Apostles. It’s guaranteed to delight the senses and provide the necessary haven for luxury and style. It is located near the beach and the villa boasts breathtaking views. Just imagine spending summer afternoons enjoying Cape Town’s crimson sunsets and whale-watching from one of the many decks or diving into the deep ocean-facing pool in your own private villa. For those looking to indulge in a little summer vacation and feel the soft white sand between your toes, Camps Bay is without a doubt your answer. It’s perfect for spending quality time away with the family or razzling out on the town with friends and enjoying a pavement café with a view. 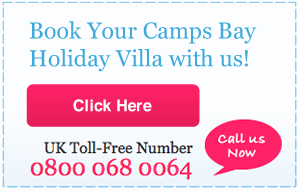 And it couldn’t be any easier with Villa Camps Bay. It offers a great variety of luxurious properties that are all set in beautiful locations in and around the suburb of Camps Bay. Here you will find an array of restaurants, bars and cafes as well as the latest in trendy hotspots and local eateries to suit your every taste and craving. For couples looking to explore the infamous Mother City and its trendy offerings, the contemporary villas for two provide the ultimate place to unwind, relax and explore its natural beauty and scenic locations. Our first featured villa to make it onto our Top 5 reasons is the sleekly neutral and extravagantly roomy property of 6 Nettleton. It certainly caught our attention as one can enjoy panoramic views, luxurious fabrics and eclectic designs in the stylish villa. It stretches over four levels and has 7 bedrooms in total that can accommodate around 14 guests. 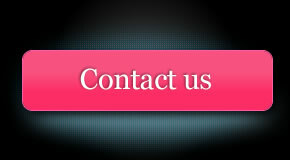 It is an ideal choice for those who are looking to accommodate the entire family or a large group of friends. The main lounge walks out onto the deck overlooking the Atlantic Ocean and Clifton beaches. There is also a great entertainment and braai area as well as a private pool ideal for enjoying Cape Town’s warm summer. 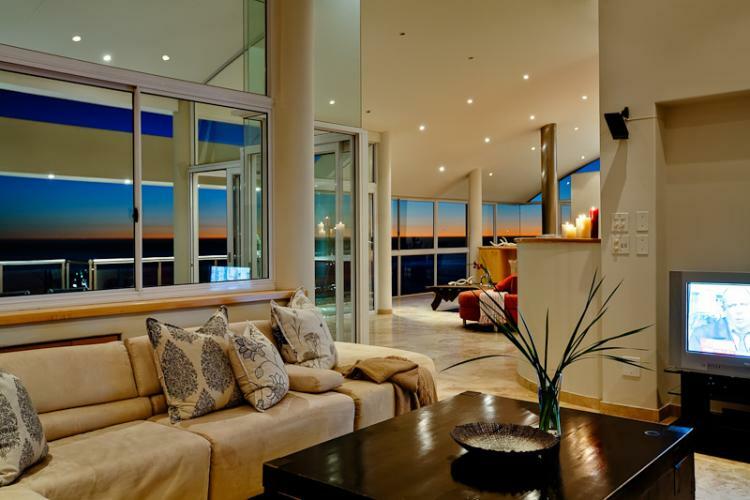 Sea Breeze is another firm favourite and it’s easy to see why as this luxury Bantry Bay apartment offers breath-taking views of the coast. Spacious yet cozy, luxurious yet homely, the stylish villa ticks all the boxes. It doesn’t hurt that it’s situated in a glorious position on one of the most beautiful parts of the Camps Bay coastline either. Sea Breeze has been refurbished to a very high standard with high-quality wood and marble finishes. The décor is a unique blend of modern styling fused with a beachy feel. 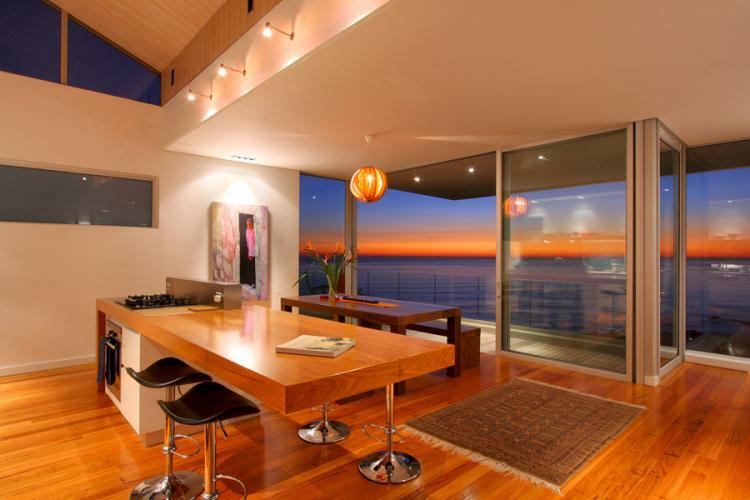 Take for example Villa Galazzio, an exclusive property that overlooks some of the finest beaches the Mother City has to offer. Here you can wake up to picturesque views of the Atlantic Ocean and coastal line. For those who prefer the natural beauty of the mountains you can enjoy the sights of the Twelve Apostle’s mountain range, Table Mountain and Lion’s Head which can be seen from the comfort of your own home without having to leave your villa. The five bedroom stylish villa has been fitted with the latest technology and décor trends this season has to offer, ideal to indulge in a summer vacation with your closest group of friends. Guests looking to enjoy a bit of relaxation over the weekend can also look forward to having a dip in the salt water pool or enjoying sundowners in the Jacuzzi. 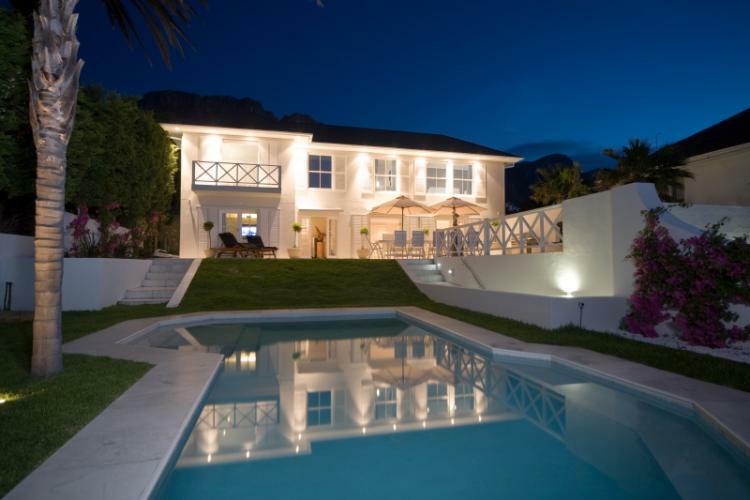 Our last featured stylish villa is 43 Central Drive, which is nestled in the heart of Camps Bay in Central Drive boasting striking views of the nearby beaches as well as views of Lion’s Head. 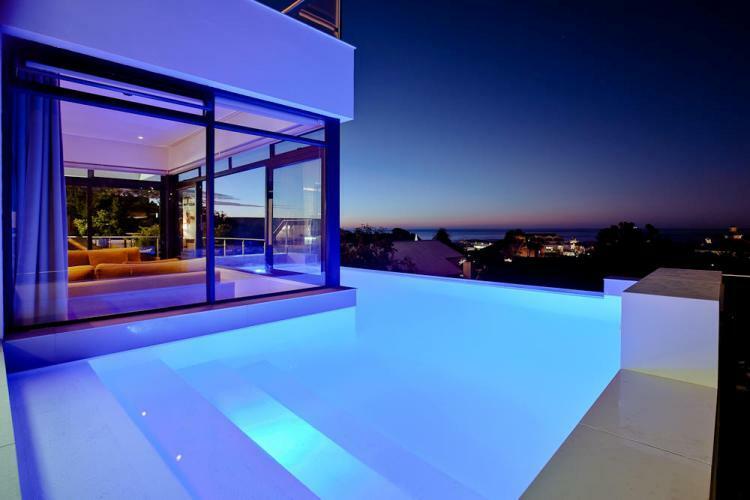 Guests can enjoy a family retreat in Camps Bay in the utmost luxury in this contemporary five bedroom abode. Enter the kitchen area and it is a chef’s dream as the latest in modern appliances await you together with classic fittings and a breakfast table ideal for the whole family. There are not one but two sitting rooms and one includes a 42″ Plasma TV ideal for entertaining as well as the infinity pool on hand for those sultry hot summer afternoons. It makes for the perfect spot for those who appreciate a little beach life and being right at the heart of things at the same time. Now you can experience summer like no other all thanks to Villa Camps Bay. Just imagine the cool sea breeze in your hair, the sights and sounds of the bustling Camps Bay strip where a range of the latest hotspots await and a cold beer in hand as you welcome in the summer. Camps Bay Highlights: Tourist Treasures or Traps?